More inspired foodtech innovation out of Israel, where Gat Foods has launched Fruitlift, a real-fruit-based ingredient that can replace refined sugars in RTE cereals. The innovative formulation consists of natural fruity goodness, including fibre, and offers a wide range of fruits. The base can give a fruity flavour or can be easily blended into a cereal brand’s signature flavour. 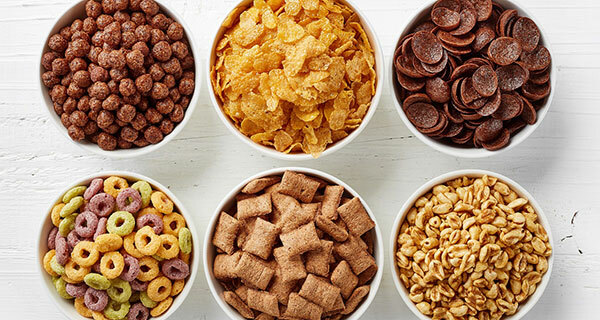 For decades breakfast cereals have presented both adults and children around the world with a convenient, fast, and tasty means of fueling up in the morning. Recently, however, RTE cereal has come under fire as a commodity that is perceived as overly high in sugar, artificial stabilisers, and other less-desired ingredients, and is increasingly being rebuffed by health-concerned consumers. Food companies are aware that they can no longer “sugar coat” the fact that many cereals are heavily laden with refined sugars. This is especially pronounced regarding children — the key target market for this sector. While the industry is harnessing efforts to bridge the “sugar gap” and make cereals more nutritive, simple sugar reduction is a tall order that incurs costs and carries technological challenges. “The cereals market has been stagnant for some time,” says Michal Katzir Emek, international marketing director for Gat Foods. “Refined sugars can make up anywhere from 15% to a whopping 40% of a typical box of cereals. So what exactly is Fruitlift? Fruitlift is composed of 90% fruit components in a liquid base that can be injected into any flour mixture in the extrusion line, or applied via the coating drum in the production of cereals. The fruit base delivers a mild sweetness, with or without a fruity flavour. Gat Foods’ patent-pending technology overcomes the challenge of integrating a wet solution into a dry product, ensuring flavour and sweetness without losing any of a cereal’s crispy texture. Moreover, anti-caking agents are not necessary. Gat Foods applies a built-to-fit approach, allowing the fruit base to be customised to fit any type of manufacturing or extrusion procedure. The right solution can also be formulated to fit any type of flour mixture. Gat Foods recommends adding the fruit base at 15% volume to endow a pleasantly mild sweetness. The base already has undergone a successful round of initial trials in a UK extrusion pilot lab. “There are numerous cereals on the market with a fruit coating, however they still contain relatively high amounts of refined sugar. Our fruit base is designed to permeate the entire expanded cereal as a complete substitute for the refined sugars that have historically been an inseparable part of RTE cereals,” concludes Katzir Emek. About Gat Foods: Is a global supplier of integrated, technology-based fruit solutions, providing advanced bases, compounds and raw materials for the worldwide beverage industry. It is a wholly-owned subsidiary of Central Bottling Company Group, the leader of the Milco consortium that has offered to buy 59.5% of Clover SA.